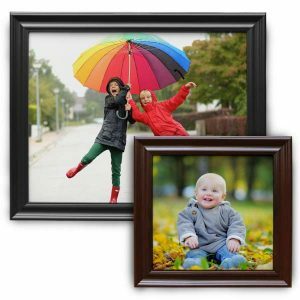 Photobucket Print Shop offers several options for filling your walls with color and personality. Take your favorite photos and create personalized wall art that tells a story with your best photographic moments. Whether your décor is modern or rustic, we have a variety of custom options to compliment your home’s style! Print photos on canvas from Photobucket Print Shop to elevate them to new heights! Our wood frame canvas photo prints are available in three frame finishes to match your décor and you can select from several sizes to fit any photo or corner of your home. From pictures you took of the family at the local park to your best wedding portraits, our framed canvas prints are sure to do them justice. Moreover, you’ll be adding a personalized touch to your décor that you simply can find at local interior design stores! Make your own photo collage and showcase a whole series of favorite moments from years past. Print Shop offers several sizes and background options to compliment your photos. You can also select from several photo layout to artistically show off your best digital pictures. Once they arrive at your door, your photo poster prints are easy to frame and hang on your wall to add a little color and character to your wall décor. Forget the glue and scissors involved in making traditional photo canvases. Make yours online with a few simple steps and have your collage posters professionally printed by Print Shop! 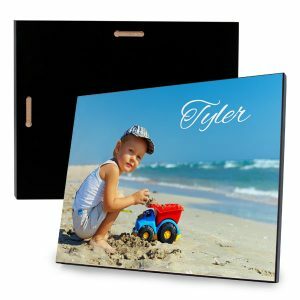 Looking for unique, new ways to show off your digital pictures? 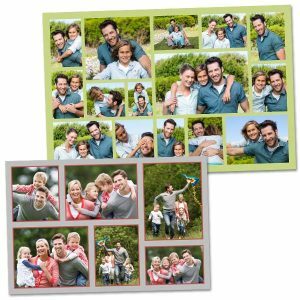 Photobucket Print Shop glossy photo panel prints are made from solid pressed wood and include a glossy, lustrous finish to add elegance to your memories. They are ready to hang and go with any decorating style! You can even add text to include a caption with your photo for an amazing display on any wall in your home! Maybe you’re looking into custom printed banners for an upcoming party, trade show, or to advertise your business. We offer several banner styles that you can design with photos, text, and our wide selection of templates. 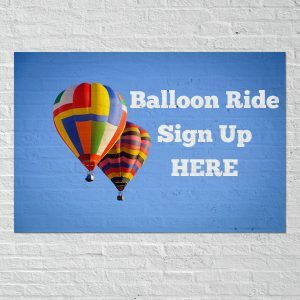 Or, check out our pre-printed banners which are perfect for special events, real estate and commercial advertising, and festive occasions! No matter what you’re planning, our professionally printed banners are sure to fit the bill. Our retractable banners can be displayed indoors or outdoors and are great for weddings or promoting your small business. They have a more formal look than our other banner styles and can be easily stored away and reused for future events. 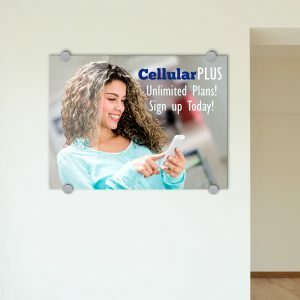 Our cheap vinyl banners are our most popular style and you can easily hang them indoors or outdoors using their built-in metal grommets. Photobucket Print Shop’s customers like to use them for graduation parties, birthday bashes, advertising their businesses, and much more. Choose from three sizes and customize them with logos, photos, text, or use our blank banner template to have it custom printed with your own artwork. The possibilities are endless. As we mentioned previously, we also offer stock banners which are pre-printed and shipped to your home or business as soon as your order is placed. Browse our entire collection and you’re sure to find a banner that’s specific to your needs. From our under new management banner to our welcome back banner, we have pre-printed options for any occasion, business or pleasure! Finally, our paper party banners are ideal for indoor celebrations and can be customized just like our vinyl banner options. Create a banner for your upcoming holiday party, make a new baby banner to hang in your family room, or upload some family photos and design a banner for your next family reunion. When you need personalized banners, Print Shop is guaranteed to please. You can custom build yours using our online interface and design it just the way you want it with a few simple steps. 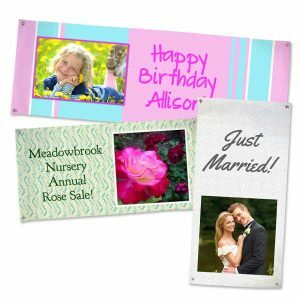 From anniversaries to clearance sales, we have a banner that’s just waiting to be created by you! Are you an avid Instagram user? 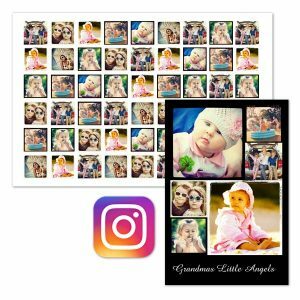 Maybe you have some favorite Instagram pictures that have been sitting in your account that you’ve been meaning to print. 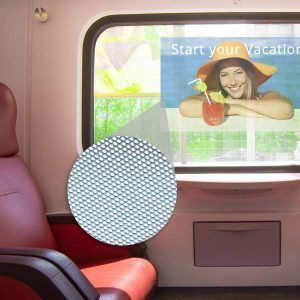 Make your own Instagram photo collage and display it for all to see in a simple poster frame. 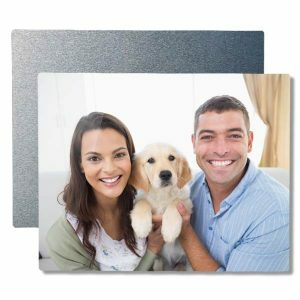 Ideal for kids’s bedrooms and playrooms or your basement den, our adhesive photo prints can be easily applied to most flat surfaces around your home without the worry of damage caused from nail holes and adhesive tape. Print a favorite photo edge to edge and display it in a variety of sizes to add a little character to your décor. 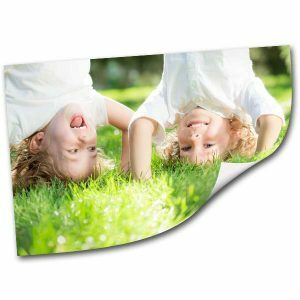 Peel and stick photo posters are ideal for not only photos, but your own scanned artwork as well! Photos are the best way to keep your memories alive. Preserve your best photographic moments while dressing up your home with personality. Print Shop offers multiple custom wall décor options so you are sure to find something that compliments your style. Our custom project builder is easy to use so all you have to do is upload your photos and choose your product to get started. You can then select all your custom options in one place and complete your layout before placing your order! Photo wall décor makes a great gift too for family and friends! No matter the photo, you can elegantly feature it on our custom wall art products for years to come!